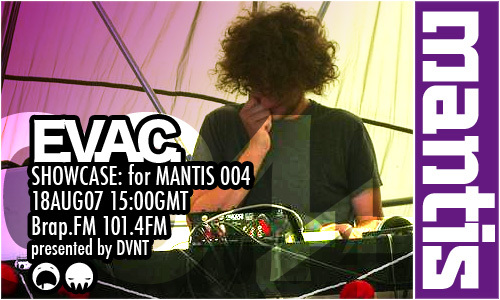 In session for Mantis Radio US electro and IDM artist EVAC with a high grade selection of electronics and downtempo shimmers. Round 4. Blimey, well with just 20 minutes to air we at Mantis HQ received the showcase from EVAC. And although he cut it fine, the results were outstanding. The feedback whilst broadcasting was rather on the positive side. 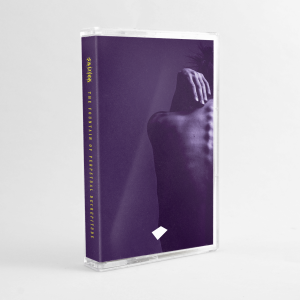 Excellent downtempo and carefully programmed electronica, which we heartily recommend. More cider was stolen from the local Off License for the show, fast becoming the regular thing. DVNT provided the solo hosting duties as Yukka is on the other side of world traveling. It’s alright for some. Musically we brought you new Cursor Miner, Kode9, UNKLE, and Aesop Rock, as well as old faves and classics from DJ Rolando, Tipper, Kruder and Dorfmeister, Plastikman and Origin Unknown, amongst many others. Joining DVNT in the studio in the final hour was last month’s outstanding showcase DJ, Mr Seavers, who mixed it up with DVNT with a heavy dose of quality techno.